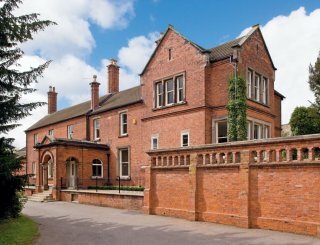 Chellington Centre, Bedford, Bedfordshire, sleeps 12-30 in 7 bedrooms. 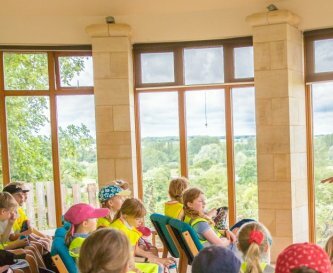 Chellington is exclusive to you: ideal for both medium and large groups and organisations of all types, including businesses and special interest groups, running their own residential courses, holidays, seminars and conferences. 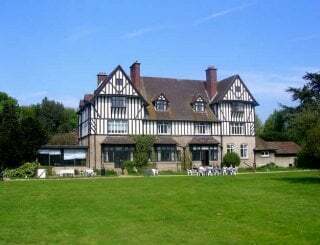 With full residential accommodation for groups up to 30, and facilities for indoor and outdoor activities, Chellington is a wonderful base for combining team or family activities at the Centre with action packed day trips to the many local attractions. 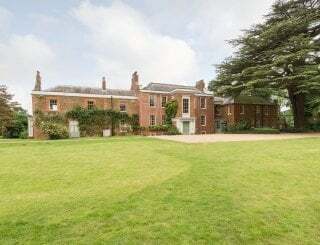 The Chellington Centre is also hired out on a day hire basis, and can accommodate up to 100 people for day conferences, celebrations and events. A full range of audio visual/cinema kit is available. Free WiFi. 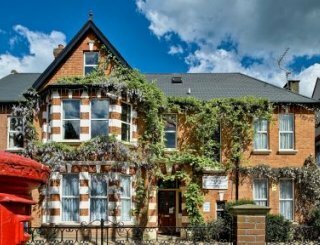 The flexible accommodation includes small group dormitory style bedrooms for up to 30 people - dormitories sleeps 4 or 5 people. Sleeping accommodation can (by arrangement) be extended to 50 persons by using tents and additional space in the Centre. A central multi-use hall can be used for indoor activities and dining. A games room and spectacular glass viewing lounge allow for smaller group activities or for use as break-out rooms for business groups. 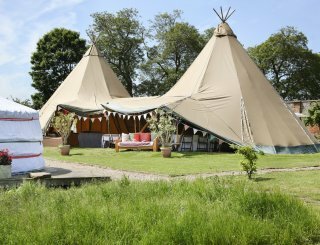 The garden is an inspiring space with wonderful views of the Ouse Valley, space for camping for 30, a large garden barbecue and a camp fire circle. For rainy days we have a wide range of toys and games in our games cupboard. 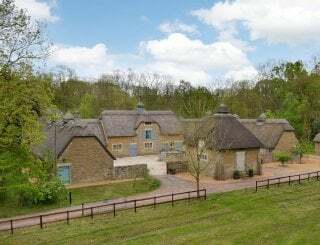 Chellington offers groups a Green stay, with our newly installed air source heat pump generating the energy needed for heating and hot water of the centre. We operate recycling system and low energy lighting. This unique Centre is located in the recently modernised St Nicholas Church, near Carlton in Bedfordshire. 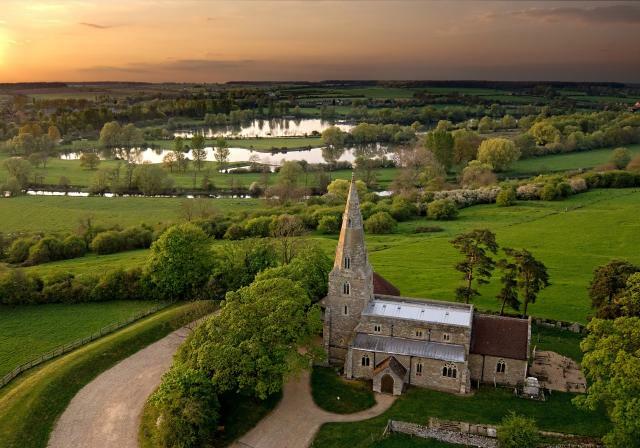 Remote enough to be blissfully peaceful, yet just 10 miles from Bedford and 15 miles from Northampton and Milton Keynes. 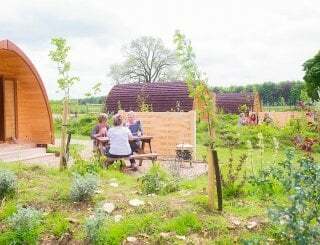 There is a wide range of activities in the local area including the award winning Harrold-Odell Country Park - a short walk over the river - and other river-based activities, such as kayaking. Ask the manager for more info. Just a bit further afield are attractions such as Woburn Safari Park, Wild Britain, Bodyflight (and surf) Xtreme and Bletchley Park. 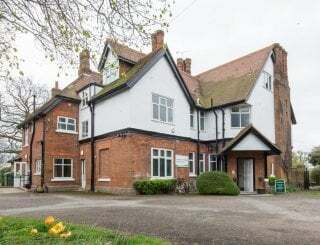 Modern, with large range cooker, 2 microwaves, large fridges, freezer, hot cupboard, dishwasher, toaster, utensils, pots, pans, crockery + cutlery. Hirers use part of the main activity hall to set up (40)chairs/(16)tables for dining. Separate breakout rooms can also be used flexibly as you wish. A semi-circular common room has lounge seating for 20+. 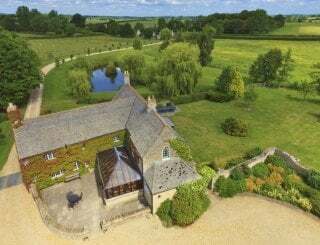 180 degrees panoramic views over the Ouse Valley and wildfowl lakes. Semi-opaque blinds. There is a wide range of indoor and outdoor games, audio/visual presentation equipment and free Wi-Fi. No TV or licence. Large main hall and two separate smaller activity rooms provide flexible space for indoor activities. Large games selection. Free table football. Modern underfloor heating over a new limestone floor delivers to all areas comfort year-round Outdoor firepit, bring own kindle, some logs available. Free pillow and slip available. With full linen package available at £5 per person per visit. Well appointed male and female toilets, 6 showers facilities, plus full-accessibility toilet and shower. No hoist. Fully accessible. Facilities on one level. One breakout room has small step (ramp provided). Separate disabled toilet/shower. Mobile wireless alarms. Designed for children/youth groups. Whole site ideal. Free table tennis/table football activity. Rounders/football pitch with serious views. 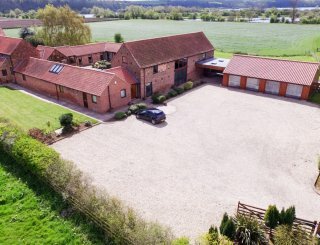 Gardens with brilliant panoramic views over the Ouse Valley. Space to pitch tents. Barbecue and camp fire circle. Wild walks from front door. Pool nearby by arrangement. Local canoe/kayak club close by. Can launch from nearby Felmersham jetty. Parking for up to 30 cars and space for coach to turn. Extra parking can be arranged in advance. Sorry we do not accommodate pets. Local kennel just 1500 metres along road. 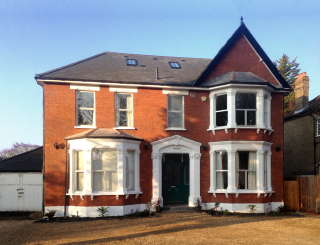 Felmersham Road, Nr Carlton, Bedfordshire, MK43 7NA. 10 miles from Bedford; 13 miles from Northampton and 15 Milton Keynes. Village of Carlton, Bedfordshire 500m. Nearest town Bedford, 9m; nearest city: Milton Keynes, 17m; Northampton, 16m. Nearest A roads: A428/A6/A421. Local shops in Carlton, fresh local bread, eggs, papers, fresh veg: 500m. Good local pub in Carlton (500m) and Turvey (3 miles). Great cafe in country park (outside table service). Curry in Harrold. Wide choice in Bedford. 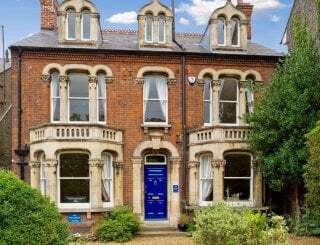 Prices from £12.50 per person per night, (tariff based on 30 ppl weeknight), exclusive rental. Winter specials. Call for details and availability. Bedford (on London line to St Pancras International) or Milton Keynes (Euston/Birmingham). Down the hill in nearby village bus serves Bedford and Wellingboro. 15th-19th April any night £299 per night sleeps 30 people exclusive use 4 nights available no min stay. 7th-10th May £355 per night sleeps 30, exclusive use, self-catering. Day hire available £200 9am-4pm business lunches £12 per person.